Introducing the BRAND NEW Spiritual Academy by One of Britain’s Best Psychic’s Amanda Tooke “The Angel Mystic”, as seen on TV & columnist for Fate & Fortune Magazine. Understand who your Angels and Guides are and what the difference is? Trust what you are receiving? You know there is more to life than what you can see? 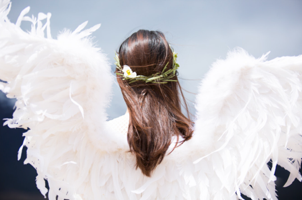 Want to connect with your Angels and Guides so you can receive their support and guidance, but you’re not sure how? Feel stuck in your spiritual closet? Want reliable support with someone you can trust and will make it easy for you? Maybe even have a desire to have a spiritual business? Spiritual Academy will take you from confused, baffled and blocked. Connecting you with “The Upstairs” in a really easy, fun way. So you can understand your guidance, having a sense of support and inner peace. I am super excited to be offering for the very first time a 6-month Spiritual Academy. This is going to be covering everything you need to know to work with Angels and Spirit either for your own spiritual development or even turn your gifts into a business idea. It will start at the basics and run through to everything you need to know. The first 5 months are based around understanding your gifts and developing your skills. The final month is about exploring how you could share your gifts with others. Each week you will receive a new module via email for you to work on. There will be written, audios and videos depending on the subject. Then every two weeks we will have a live zoom class to go over the modules and you can ask any questions. I will be encouraging you to practice your new skills with each other too in the supportive Facebook group. Where of course you can always ask questions and get support from me in there too. Fast Track Your Spiritual Development with simple easy steps and live support in my BRAND NEW 6 month programme. Getting support when we are spiritually developing makes all the difference to your journey. It helps you understand what is happening for you. Gives you confidence in your new found abilities and moves you on faster than if you were doing this alone. You can use all the tools in everyday life or you may want to move on to develop a spiritual career! 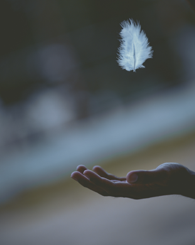 Maybe you know you have Angels and Guides but don’t know how to connect or perhaps you were connecting and now you feel they have left you. Let me tell you, it is all a lot easier than you think to understand the difference between Angels and Spirit and you can’t disconnect. They don’t go away but we do stop recognising their communication. I have been on this path all my life. I am a natural born healer and psychic and have been teaching others since 2009. 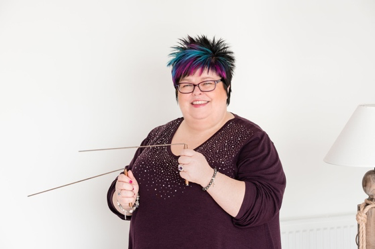 Thousands of people have already gone through my programmes and discovered their Angels and Guides but I have now put together my Spiritual Academy to develop your abilities with clairvoyance, clairaudience, claircognizance and clairsentience so you can have clear communication from “The Upstairs”. My Spiritual Academy will not only help you to develop your abilities within yourself but also teach you all about Angels, Guides and Spirit. It will show you how to use tools such as Angel Cards, Pendulums, and Dowsing Rods all to aid your communication. What can you expect to get from joining Spiritual Academy? This is a group online, so we will be working together for a whole 6 months. I am here to make this journey as easy as possible for you, with clear information that is delivered to you each week in modules via email. So no having to log in somewhere. It all gets delivered to your inbox with a link to the current exercises, information, and meditations. Plus, a link to the previous week too, so you can’t get behind. You can work through it all in your own time, each week trying out new skills. You get clear information, exercises and meditations, all delivered in a way to give you the short-cut to your development. Plus, you get support and can ask all the questions you like in the Facebook Group. You will be able to buddy up too and practice your new skills. Then every two weeks we have a live session with me via Zoom where we go over the modules and you can ask all the questions you like. What will you experience when you spiritually develop? Honestly, whilst I have always been psychic I hid in my spiritual closet for far too long. I was scared to say what I was experiencing in case people thought I was crazy. I only wish I had stepped out a lot sooner as when I did I realised I was not on my own in there. We are all spiritual beings and experience things, often too worried to say anything. Stepping out of my spiritual closet has been the best thing ever. I can’t imagine how lonely my life would feel without my Angels and Guides. I feel so supported, loved and cared for. I know they have my back and I have learnt so much about myself, I have really grown as a person and have found my life’s purpose. I guess the biggest gain in all of this wonderful and exciting journey, is the sense of inner peace that I have every day. That in itself is priceless. Each week for 20 weeks you get a new email with that week’s module in it. There is a link to the previous one if you have missed if for any reason. This is all your spiritual development content. Then for the final four weeks I will be delivering business guidance to bring your new found skills to world via the Facebook Group and Zoom. The email address everything goes to will be the one you paid with, so please make sure that is the one you want it delivering to. Within the email is a link to join the Facebook Group. I totally recommend you do that and would even go as far to say open a Facebook account just for that if you haven’t already got one. It is so important to know you are not the only one experiencing what is going on for you. Basically this will teach you all you need to know. The first thing it will teach you is to be safe with grounding and protection and energy work. You have to understand your own energy first so you can then tell when it is you making it up, your Angels or your Guides, plus of course taming the Ego to stop blocking your development. Trust is the biggest factor in this journey as it can be hard to trust what you are receiving. My programme has meditations on trust and belief so you can overcome that with ease. I am also aware many struggle to meditate and that is often seen as the key to spiritual development. I like to show people it is not the only way to develop. Whilst it is great and has many benefits, there are ways to move past the mind-monkey trap. My fantastic BRAND NEW Spiritual Academy will not only give you all the information you require to fast-track your spiritual development. It will give you direct support from me in the Facebook Group and on the live Zoom calls. You can ask questions, in a safe environment, of others all on similar journeys. So if you are wanting like-minded friends this is the place to be. All Zoom calls are also recorded and made available to you too. This is so important and often overlooked, as the more you understand your own energy the more you will be able to work out when it is guidance or you making it up. Get to grips with this and it will make the rest of your development so much easier, plus you will know how to stay safe so you won’t block your spiritual development. So you can communicate with ease. Learn all the Angel signs then you can work out their communication with yourself. These are a great and fun way to deepen your relationship with your Angels. With this module you will soon be reading cards like a pro. These are the bosses of the other Angels and we can all connect with them. In this module I will be introducing you to the main ones and getting you to connect with them, so you can use their skills to ease your life. Each one has a specialist subject. As well as having our Angels, we have our Spirit Guides to help and guide us. This week’s module will help you connect easily, enabling you to tell the difference between the two. Dowsing is a type of divination used to find water, lost items etc. We shall be using it to connect with “The Upstairs” so you can see physical evidence of them and energy. We all want to open up, but to be safe in your development it is very important to know how to close and when is safe to open up. In this week’s module, we will learn how to do this, so you will feel very in control when working with “The Upstairs”. As you will find out by doing this programme, we all have different skills. Some of these things will be really easy and for some will be more testing. This week’s module is about trying new ways of working with energy and “The Upstairs” to see were your skills lie. We have all been here before and more than likely had many lives. Understanding your past life makes this life make more sense. You can find out about past lives with your Angels and Guides. Learn to move forward without dragging your past with you, from both this life and past lives. If you are having issues with someone this will work brilliantly by softening them and getting a more positive outcome to any situation. This is a great way to receive guidance direct from “The Upstairs”. Your writing may come out in a different style or you may write about something you had no idea about. This is one of my favourite forms of communication and I have received many an Angelic download using this method. This is what will always stop people from developing if they don’t trust what they are receiving. So I have created two meditations to help you through this. We are always making energetic connections and it is important for them to be cut, not just from people from our past but also current loved ones, so their energy can’t drain us. Being able to connect with our loved ones in spirit can give us so much comfort. We will look at the various way to do this. We all do this but I have some really easy steps for you to take when you feel you are not being answered. You can use these modules, exercises and information, time and time again. For example, you can do the past life meditation and find out a different past life each time you do it. 1.Want to spiritually develop with ease. When does Spiritual Academy Start? We are starting week commencing Monday 25th February with your first week’s content. Each Monday you will receive a new email giving you new content. Our fortnightly Zoom calls will rotate in times with each one to accommodate different time zones, our first one will be Thursday 28th February at 2.45 pm UK time. There will always be a replay and you can ask questions in the Facebook Group too as I will be in there actively to support you all. Spiritual Academy is a new programme even though I have been teaching Spiritual Development in circles since 2009. 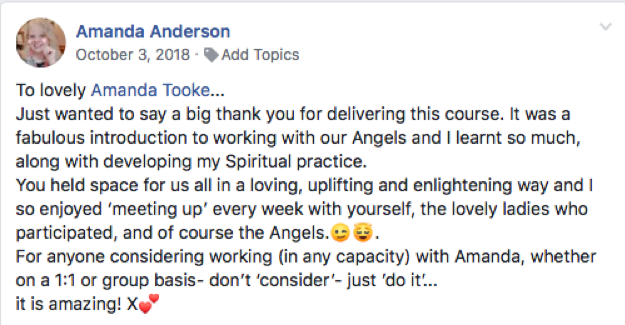 Last year I ran Angel Summer School and this is what people said…. Spiritual Academy is valued at over $4000/£3200 worth of content and resources. Not to mention the business tools I will share so you can potentially recoup your investment too. It is at $1265/£999 as one off payment. $1139/£899 as one off payment. Comes with free access to Abundance Club for the 6 months we are working in the Academy and a fully supportive Facebook group.